We have over 15 years of experience in vacuum technology and organic electronics. We demonstrated that combinatorial methods are a powerful tool for screening and optimizing organic devices. The combinatorial parallel approach shortens the development time of organic materials & devices and provides a large and reliable set of data for further optical and electrical optimizations or simulations. 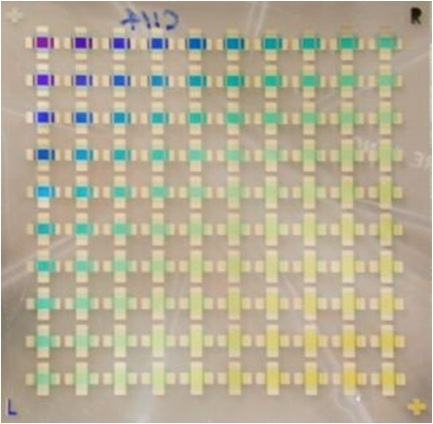 Combinatorial test-device data: 100 systematically varied OLED-structures on a single substrate. 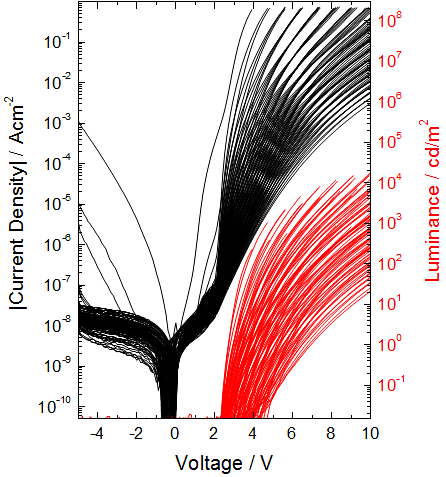 Current density (black) and luminance (red).